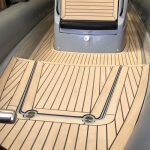 Synthetic Teak Boat Decking is the perfect interpretation of fashion and durable, a new era has arrived, new products continue to rise, people focus on durable, but also pay attention to aesthetics. 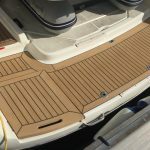 Beautiful but not durable things to make people more aware of the quality importance, yacht pavement also pay attention to aesthetic and durable, Synthetic Teak Boat Decking are both beautiful and durable, loved by the masses, once reached the pinnacle of boat decking material sales . 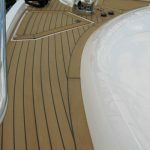 We are the most professional supplier of Synthetic Teak Marine Boat Decking. 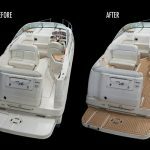 Our marine boat decking has a beautiful appearance and durable quality. 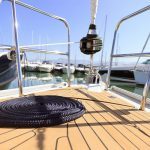 A special surface treatment process, make the Synthetic Teak Boat Decking closer to the essence of native teak. 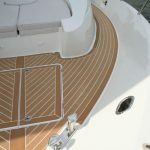 With the progress of society and citizens to improve the quality of life pursuit, Synthetic Teak Boat Decking in the near future, in the marine boat decking market will be occupies a certain position, Synthetic Teak Boat Decking it will be the main decoration materials of marine boat decking material.